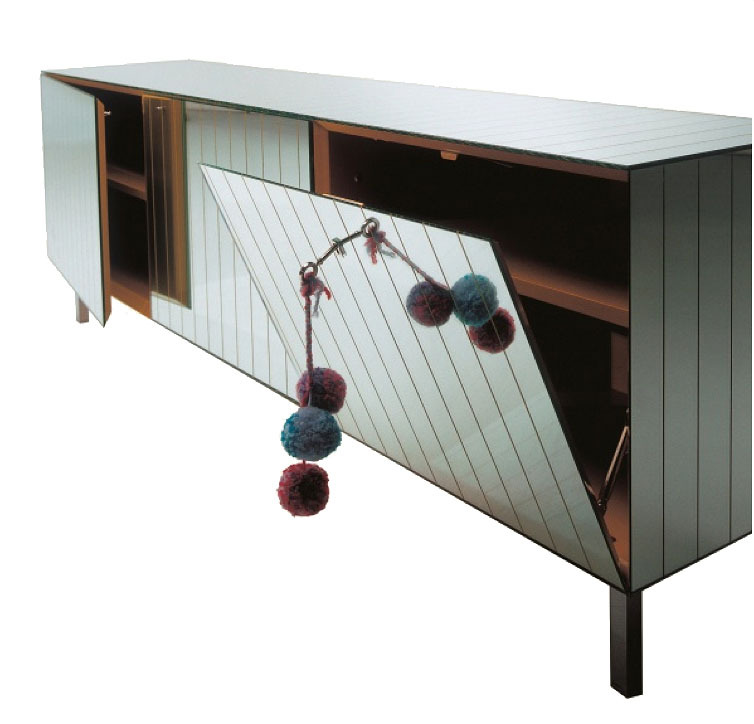 The Other sideboard or buffet was designed by Studioisle for Cerruti Baleri in Italy. The one who reflects us, the surrounding environment and the light in a surprising, mutating and precious visual dialogue. The Other is a family of cabinets and side-tables made with light MDF structures, steel feet, decorated mirror surfaces and lacquered interiors, composed by a chest of drawers, a sideboard, a coffee-table and a side-table. 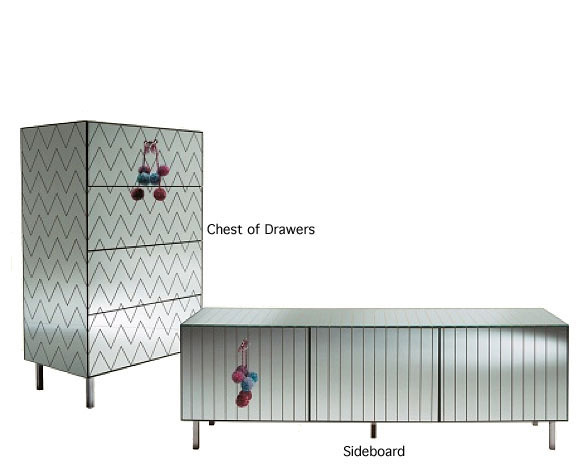 Each piece features an exclusive color and decoration. This monochromatic finish is applied to the mirror decorations, the hidden surfaces and the interior of the cabinets.